Situated in Alversund, this hotel is 6.7 mi (10.7 km) from Museum of Norwegian Knitting Industry and 11.5 mi (18.5 km) from Hundvin Church. Heathland Centre and Emigrant Church are also within 16 mi (25 km). Situated in a rural location, this vacation home is 7 mi (11.3 km) from Heathland Centre and within 20 mi (32 km) of Hundvin Church and Museum of Norwegian Knitting Industry. Lindas Church and Emigrant Church are also within 25 mi (40 km). Situated in the mountains, this vacation home is within 25 mi (40 km) of Museum of Norwegian Knitting Industry, Hundvin Church, and Lindas Church. Bryggen and Hurtigruten Terminal are also within 32 mi (52 km). Situated in Lindas, this hotel is 0.1 mi (0.1 km) from Lindas Church and 6.3 mi (10.1 km) from Hundvin Church. Museum of Norwegian Knitting Industry and Heathland Centre are also within 25 mi (40 km). How Much is a Hotel Room in Lindas? Hotels in Lindas start at per night. Prices and availability subject to change. Additional terms may apply. There are no Travelocity-listed rooms in Lindas. Savvy travelers hoping to explore Lindas are best off booking one of the 2 hotels that are within easy driving distance. The Fjordslottet Hotell, Norway, which is the closest Travelocity-listed accommodation option, is situated 9 miles (15 kilometers) from the city center of Lindas. A different convenient Travelocity-listed accommodation option is the Lune Huler Hotell & Restaurant, which is found in Norway, 5 miles (8 kilometers) from central Lindas. If time is on your side, why not enjoy the many attractions of Fjord Norway while you are in Lindas? Fjord Norway is well known for beaches and coastal plains, and popular tourist places of interest are traditional villages, old towns and fortresses. Modern visitors in this corner of Norway adore snowboarding and skiing. The closest accommodations in Bergen - Hordaland are Stord and Nygard Park. Stord is 60 miles (98 kilometers) to the south of Lindas, while Nygard Park is 20 miles (34 kilometers) to the south. Stord Travelocity-registered places to stay include the Stord Hotell and Grand Hotell Stord. The Clarion Collection Hotel No13 and Clarion Collection Hotel Havnekontoret are a number of the lodgings in Nygard Park. Why not spend an afternoon enjoying the skills of players in the company of local sports enthusiasts at a local game. Brann Stadium is 25 miles (36 kilometers) to the south of Lindas. 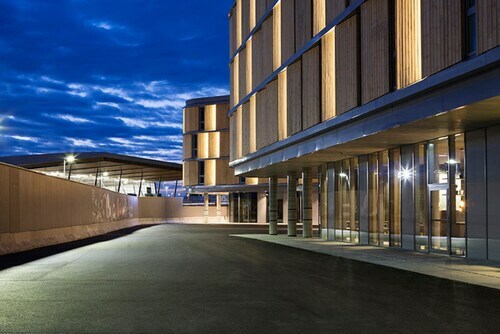 Sleep in the thick the action at the Scandic Ørnen or the Radisson Blu Hotel Norge, Bergen. 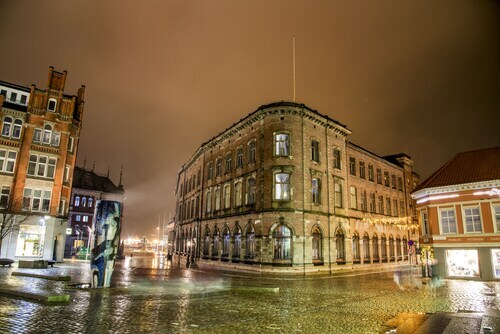 Flesland Airport is located 30 miles (45 kilometers) from Lindas's downtown area. 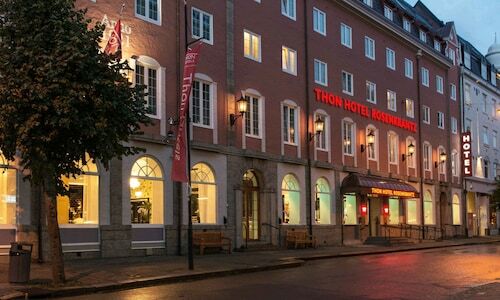 Wise travelers who choose to find accommodation in the area can easily secure a room via Travelocity at the Thon Hotel Bergen Airport or Villa Charlotte. I loved the convenient location to all things walkable in Bergen. The lighting in our room was very dim. Preparing each day was challenging. The staff were warm and engaging. All spoke English well. Breakfast was amazing. Great location, easy short walk to the airport terminal. All of the hotel staff were very helpful. The beds were very comfortable. The hotel has a very contemporary look with unique artwork. The shower was wonderful. We stayed two nights at this hotel on a holiday and could not have been happier with our choice. The room was well designed and the bed was very comfortable. The hotel restaurant offered a fantastic gastronomic experience. We had a lunch and a dinner there and were blown away on both occasions. Hotel and restaurant staff were very professional and friendly. We will definitely stay here again! The location is perfect. You can walk to all the local attractions. The hotel in its self was very clean & staff helpful. Morning breakfast was wonderful. They have a great selection to please everyone. The room we reserved stayed on website a king but I think it’s was a bit smaller & room very small and hot. Glad they provided a small fan. Did open window but because of the hotel so close to common area it was a bit loud. 6 people were drinking and yelling from a bench most of the Erving till 3:00 AM. Bathroom very small but efficient. Did enjoy the stay!